This wall map is made from our folded California Road Map but with a slightly larger sheet size for prominence on your wall. It highlights California's extensive highway system and public lands. 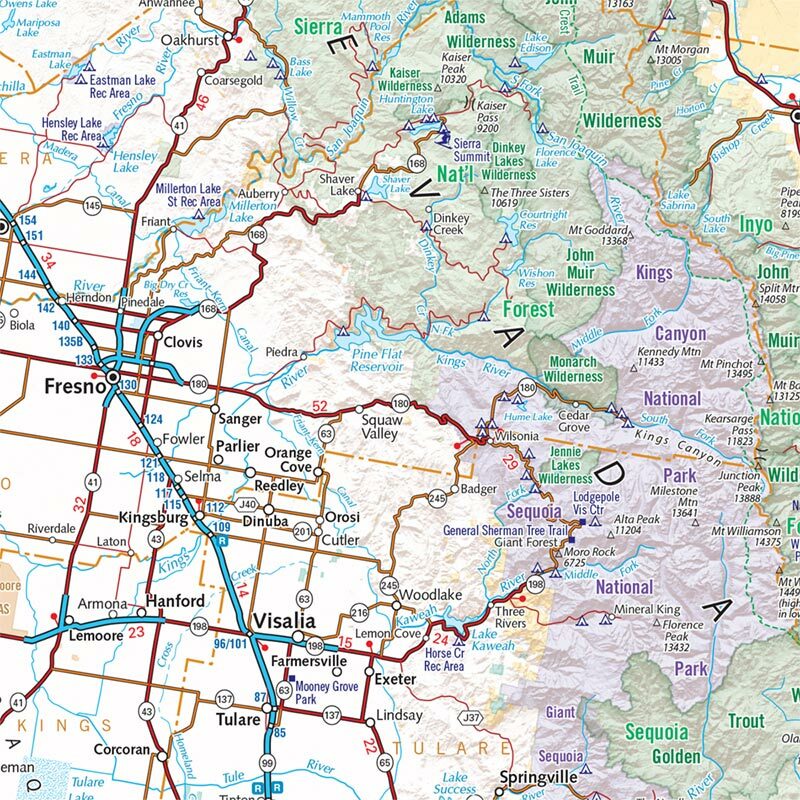 Inset maps for Napa & Sonoma, Redwood Coast, Lake Tahoe, Yosemite Valley, Palm Springs, Monterey, and the Santa Barbara coast. Each map is individually printed on high quality paper, hand-trimmed, and shipped from our cartography offices in Medford, Oregon. 42" x 32"